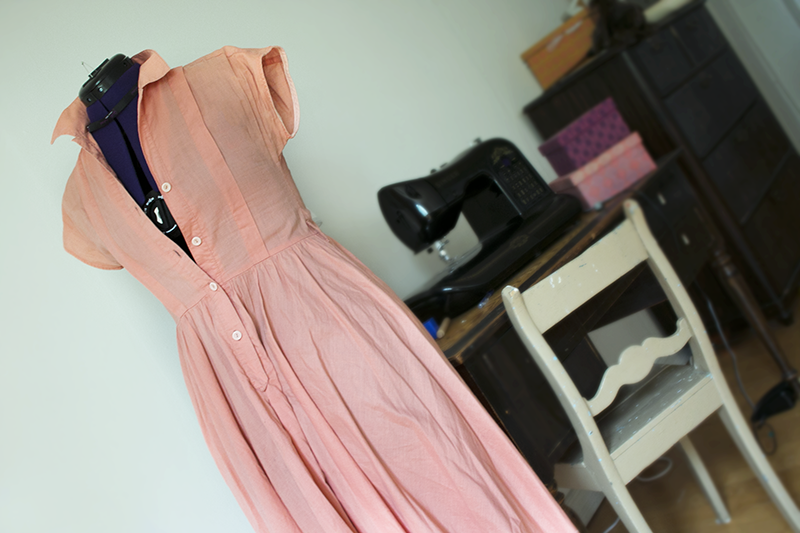 This peachy/salmon pink dress is one of my favourite dresses. I've always had a thing for shirtwaist dresses and this one has pockets as well which kind of seals the deal. I bought it at a vintage store in Berlin when we were there with Eddi in 2010. But -there's always a but - it is a bit too tight over the chest and is now hopefully next to my sewing machine waiting for alteration! 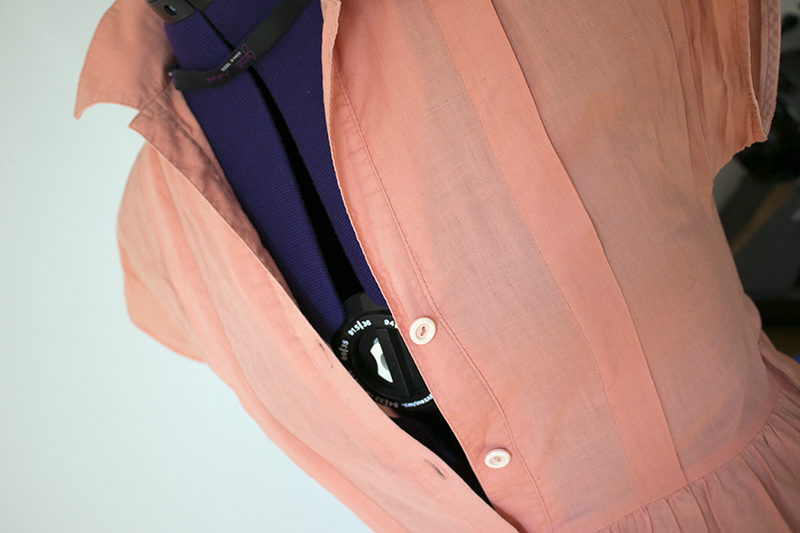 The top always was a bit on the smaller side and I'd often wear a slip of lace top underneath in order to be able to keep the buttons opened as far down as possible. But nowadays it just makes me look stuffed, so I can't really rely on that trick anymore. I have been thinking about how to alter it to add spaced around the bust; adding a strip of fabric in the middle of the dress, under/next to the decorative panel that runs vertically across the top, or make it diamond shaped or so? Or do I just add more fabric from under the arms? The dress it's rather well made so I am afraid to fck it up. Any sewing wizards out there with advice?